There really isn’t a better way to get that Friday feeling than a nicely brewed cup of tea and a delicious slice of cake, and all of this whilst helping an incredible charity like Macmillan. Of course, it was inevitable that we would participate in their famous bake-off Coffee Morning. For those of you who may have been hiding under a rock for the past few years the Macmillan Coffee Morning first began way back in 1990. It has been a firm date on the calendar ever since. Macmillan stated that the initial idea started as just a small event. Guests would gather over coffee and donate the cost of their cuppa to Macmillan in the process. It was such a great success, they continued it year after year raising over £138 million ever since. Incredible. Macmillan is a very popular charity who host a number of different fundraisers. It is very close to the hearts of many people. With one in three people expected to get cancer at some point in their life, Macmillan work tirelessly to make sure every single person who needs it gets support from their nurses and it’s therapists and they rely on our support. The World’s Biggest Coffee Morning is a great way of bringing people together. Whether it’s parents baking with their children, or colleagues sitting around chatting whilst tasting the beautifully homemade goodies each have brought in to work. Each cake is then enjoyed in exchange for a donation for the charity. 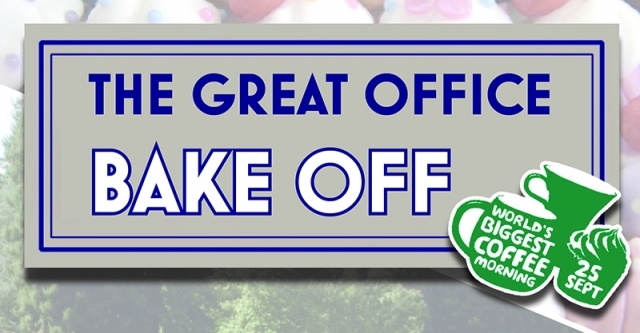 This year’s theme was ‘Bake it or Fake it’ allowing those people who are not as savvy in the kitchen to participate. So we have the kettle on the boil and are sharing and selling our banquet of buns and cakes! We were spoilt with a variety of scrummy treats from fridge cake, to homemade scones. We really do have some talented bakers here at Rocket. The event raised an incredible £89. 38, which is a fantastic effort for our small office.